This card comes with some good timing with the start of the new NBA season right around the corner. Donovan Mitchell’s nickname “Spida” is one of the coolest nicknames in the league (also, shout out the OG “Spider”, John Salley). 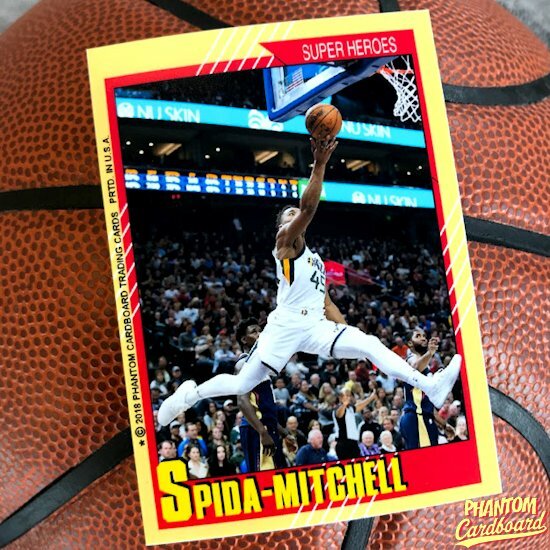 I thought putting the Spida man on a 1991 Impel Marvel Universe inspired card would be pretty damn cool. 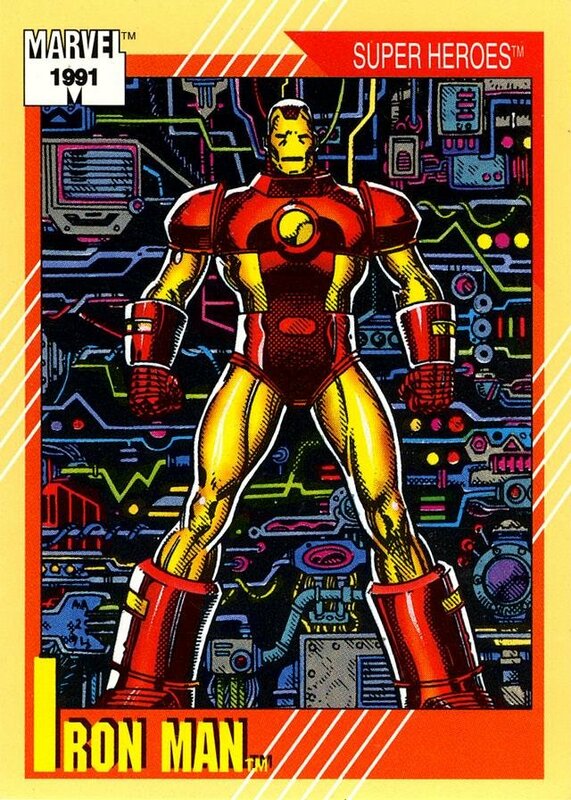 Back in 1991 I LOVED these cards. 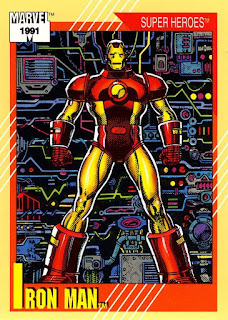 When these cards first came out, for a time, shifted my whole collecting focus to comic cards and really got me, primarily a sports card kid, into the whole comic book universe. I could have had one million of these cards and I would have still bought more packs. This card I thought really hinged on finding the right superhero-esque action shot, and I found exactly what I was hoping for. I think even Stan Lee would give it the thumbs up. It actually looks like Donovan is in mid web-swing on his way to the hoop. I added a little more drama to the card by having Spida’s left foot break the card frame. Donovan Mitchell is one of the players I’m most excited to see for the 2018-19 season. He had that breakout rookie year and I think he’s going to be even better this year now that’s it’s more than established that he’s the guy in Utah, and he’ll now be expected to do big things for that team to compete at the level that they did last season.